The French nationalist will officially launch her presidential campaign in the city of Lyon on Saturday. Ms Le Pen will run on a platform of aggressive Euroscepticism, anti-migration and economic statism in the hopes of capturing the hearts and minds of France’s blue collar workers. In many ways, Le Pen’s campaign will resemble that of Donald Trump, of whom she’s a long time friend and supporter. 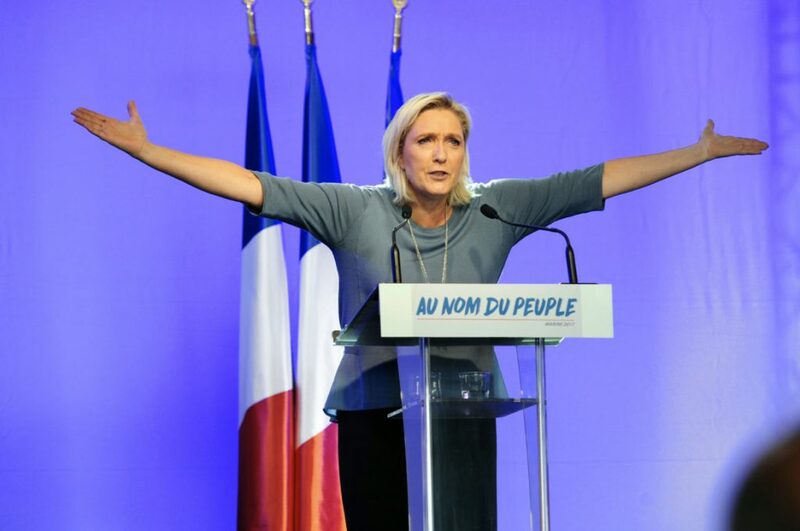 In November, the National Front leader called his election a “sign of hope”; she’s wagering that the same anti-establishment rhetoric that carried him to victory will resonate across the Atlantic. Successive polling figures suggest the nationalist candidate will make it to the second round runoff in May. Just who she’ll face is more uncertain. Until recently the centre-right Francois Fillon was a shoe-in. But allegations that he employed his wife in a ghost job that cost the French taxpayer hundreds of thousands of euros have rocked his campaign. Self-avowed independent Emmanuel Macron appears to have capitalised on Fillon-gate and now appears to be the most likely to clinch the presidency. Whoever does face off against Marine Le Pen will need to have broad appeal if they are to combat her populist nationalistic message. Liberals everywhere it seems will be banking on Mr Macron.